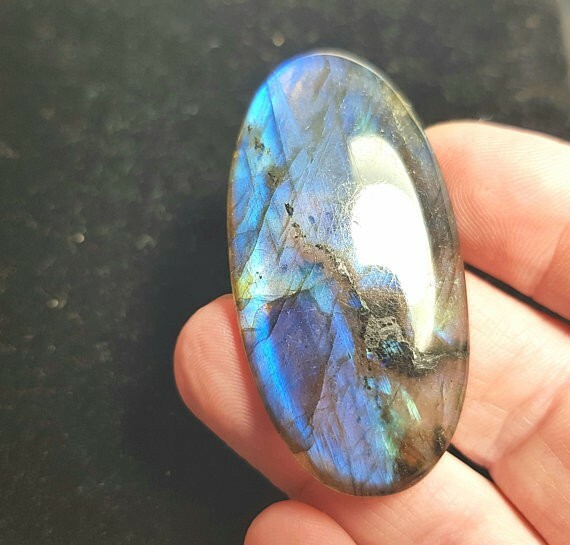 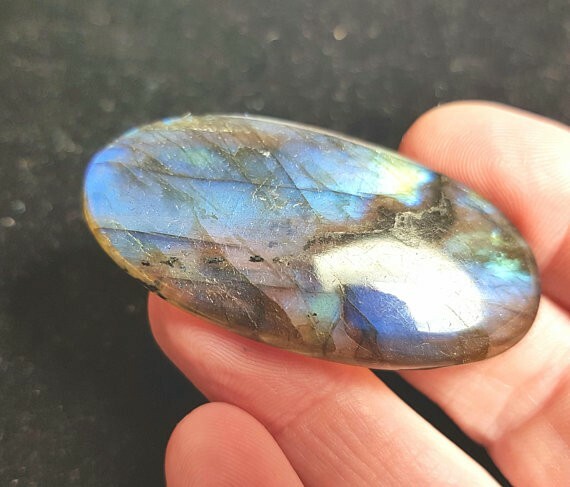 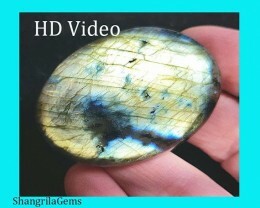 This quality Labradorite is called RODI LABRADORITE in the gemstone trade . 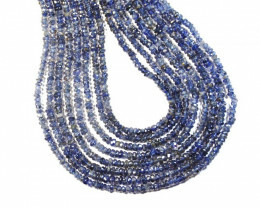 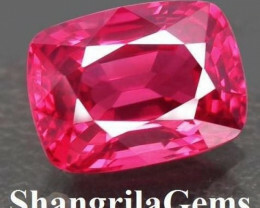 It is the best quality - with many pieces having a good degree of transparency. 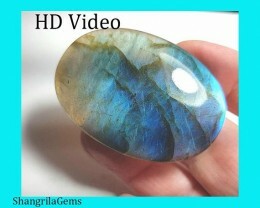 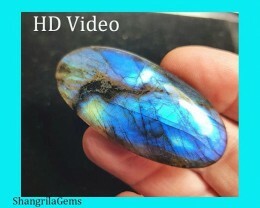 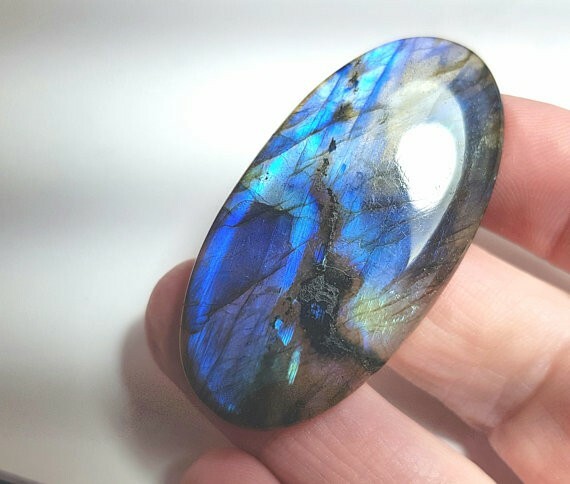 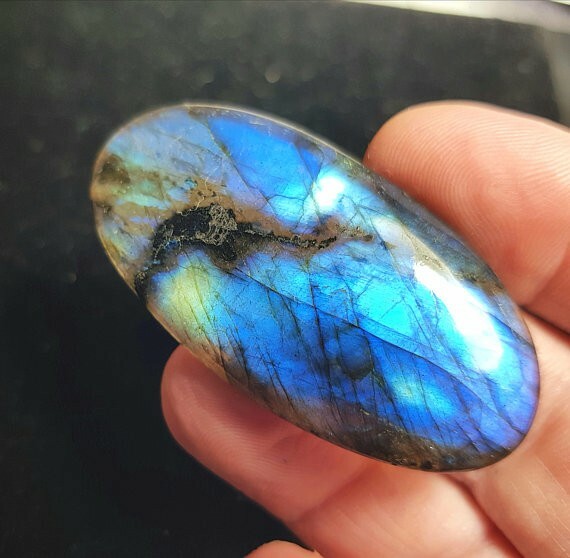 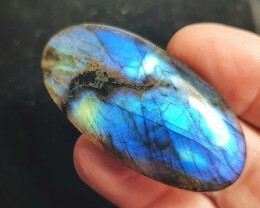 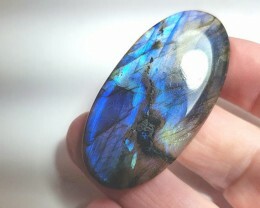 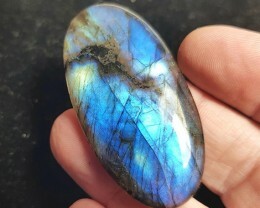 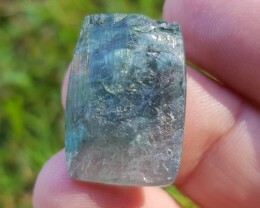 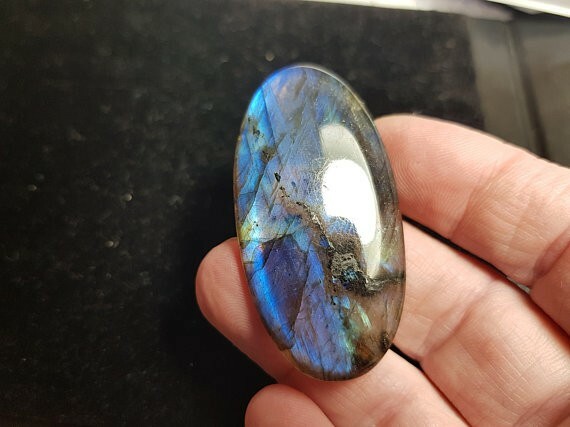 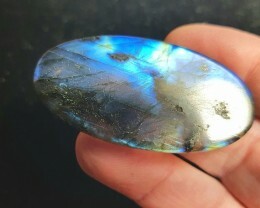 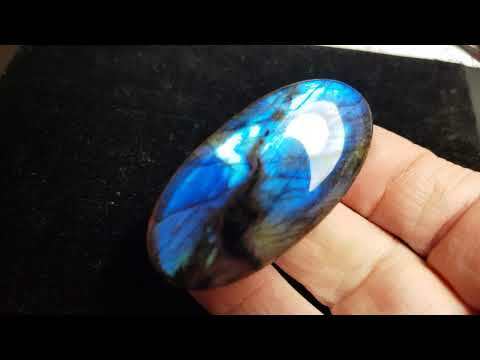 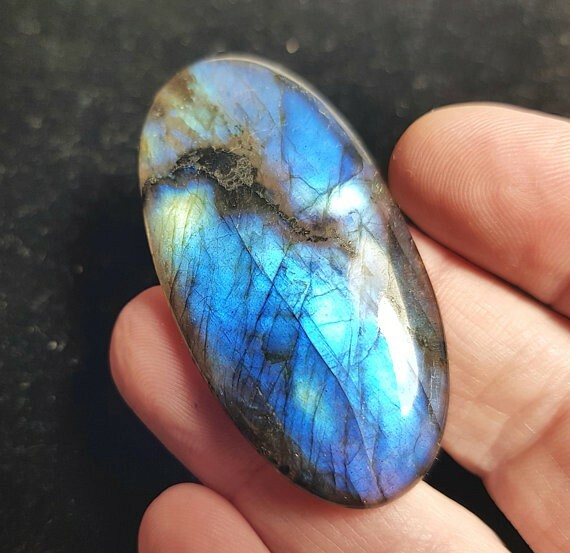 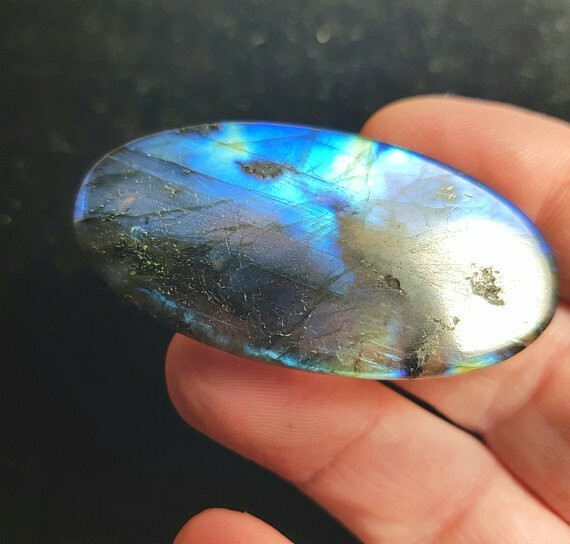 And only the best Labradorite has such a strong blue sheen to it. 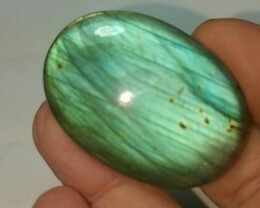 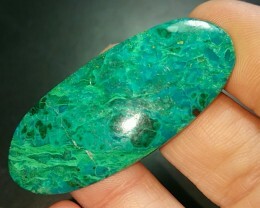 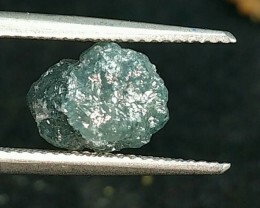 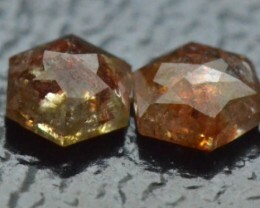 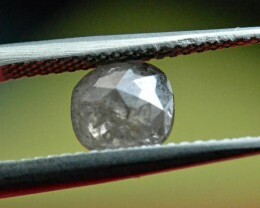 A totally natural and untreated stone from Madagascar. 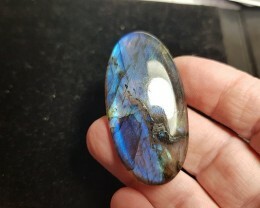 Photo taken in with no enhancements. 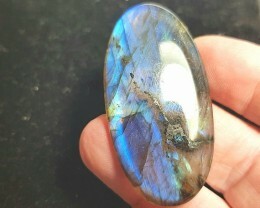 Purposely shot on white to show we have not enhanced the images.